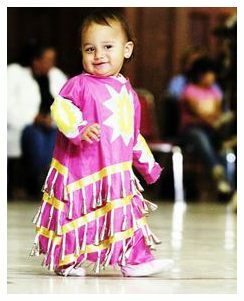 Bianca Zeman, 1, of Vermillion, S.D., a member of the Rosebud Sioux nation, dances in a powwow at the Multi-Cultural Center in Sioux Falls, S.D., on Monday. This undated photo shows a new bird that has been discovered in a previously unexplored Andean cloud forest…. 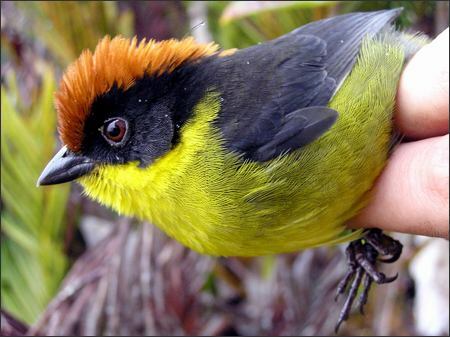 The bright yellow and red-crowned Yariguies brush-finch was named for the indigenous tribe that once inhabited the mountainous area where it was discovered and which committed mass suicide instead of submitting to Spanish colonial rule.